Dr. Wassan Ihsan has been practicing medicine for 20 Years since graduation with Bachelor degree of Medicine and Surgery (M.B.Ch.B) from Baghdad Medical School in 1997. She has extensive experience and knowledge in Family Medicine including primary health care, preventative health care, prenatal care and well baby and women care. In 2008, Dr. Wassan Ihsan moved to Ontario/Canada with her family Dr. Ali Ihsan and 3 daughters “Jumana, Dania and Rania”. 2010-2015, The Ihsan’s moved to Newfoundland and resided in the town of Bonavista and then in Clarenville city where Dr.Wassan Ihsan worked in Medical Art Clinic as Family physician in busy practice of 2500 patients. In 2012, Dr.Wassan Ihsan got a Licentiate of the Medical Counsel of Canada (LMCC). In 2013, Dr.Wassan Ihsan awarded certification of the College of Family Physicians of Canada(CCFP). She also attended continuing education courses on regular basis to keep up to date with the latest guidelines of the Medicine. 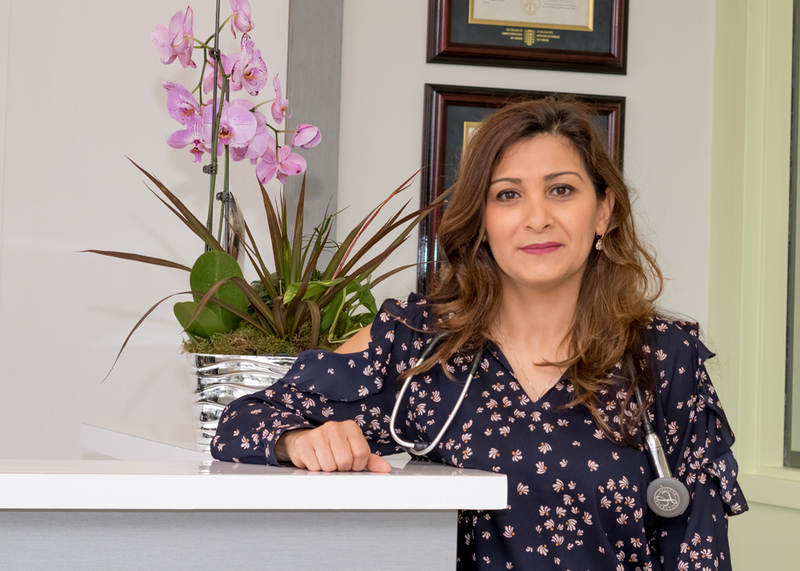 Dr. Wassan Ihsan loves spring and summer time and likes to spend her leisure time with reading, watching movies, biking, rafting and traveling. She loves to spend the time with her husband and 3 lovely daughters and her passion to serve the community as much as she can.